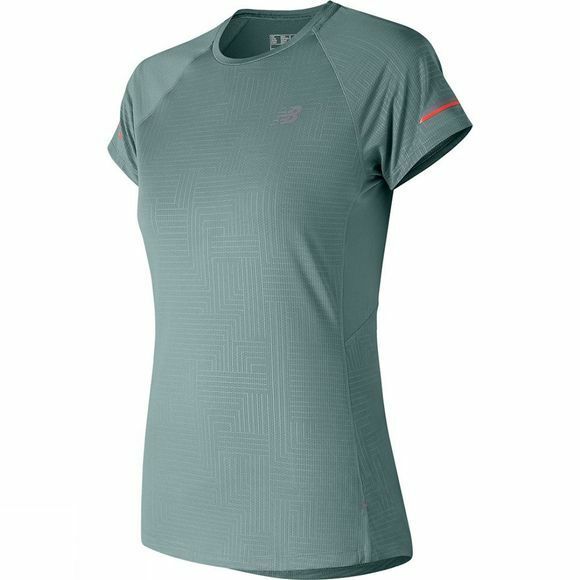 When temperatures rise, take your workout gear up a notch with the women’s Printed NB Ice 2.0 Short Sleeve Shirt. 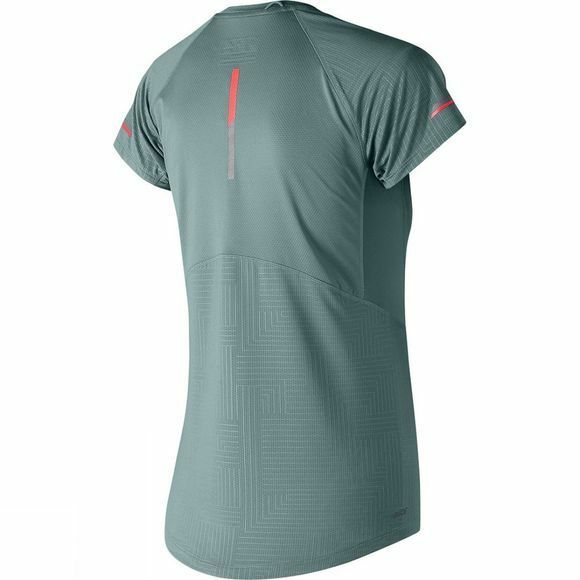 This version has been updated with extra mesh on the back, sides and underarms for even more cool, breathable comfort. During rigorous workout sessions, the structured knit design with strategic mesh sweat-activated NB Ice cooling technology helps keep sweat under control, while a headphone port at the back collar helps keep cords in place. Meanwhile, reflective trims and bartacks help increase your visibility when training days extend into the evenings.